Why Bone Grafting (for dental implants)? In many instances, a potential implant site in the upper or lower jaw does not offer enough bone volume or quantity to accommodate a dental implant of proper size or in the proper place. This is usually a result of bone resorption that has taken place since one or more teeth (if not all) were lost. 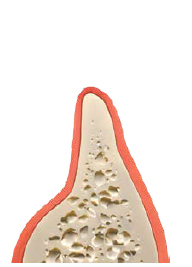 Bone Grafting or Guided Bone Regeneration -GBR procedures usually try to re-establish bone dimension, which was lost due to resorption. A bone graft normally takes at least four to six months to heal, before a dental implant can be placed into it. 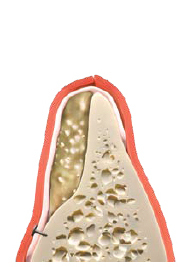 There are times also that multiple grafts may be needed to produce the amount of bone needed. This is dependant on a persons health and amount of bone being grafted. Years ago the lack of bone posed a considerable problem, and sometimes implant placement was impossible because of inadequate bone volume. 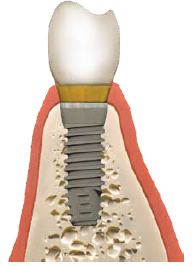 Today, however, our NY / NJ dental implants providers have the ability to grow bone where needed. This not only gives them the opportunity to place implants of proper length and width, it also allows them to restore the esthetic appearance and functionality of your mouth. If you have been thinking about dental implants in Manhattan or NYC, schedule a personal appointment with one of our talented implant dentists today by giving us a call or request a consultation online. Our oral surgeons will carefully evaluate your dental structures to determine which dental implant technique is best for you. Because all of our surgeons are also highly skilled, board-certified periodontists, they will also properly evaluate the health of your gums.